I’ll consider the Louis Garneau Tri Power Gripper Short the Mac Daddy of tri shorts when it comes to the inseam. At 11.25 inches, the short solves the issue of riding up when I’m running, or me just wanting some extra coverage when I’m on the bike. The Louis Garneau Power Gripper has an adjustable waist drawstring, a power band gripper to keep it from riding up, and a comfortable chamois, making this tri short an excellent option if you’re used to more modest athletic apparel. Want to see more? Check out more tri shorts and compare them using the tri short comparison chart. The short itself has been wind tunnel tested along with a whole slew of Louis Garneau gear, and has produced favorable results. 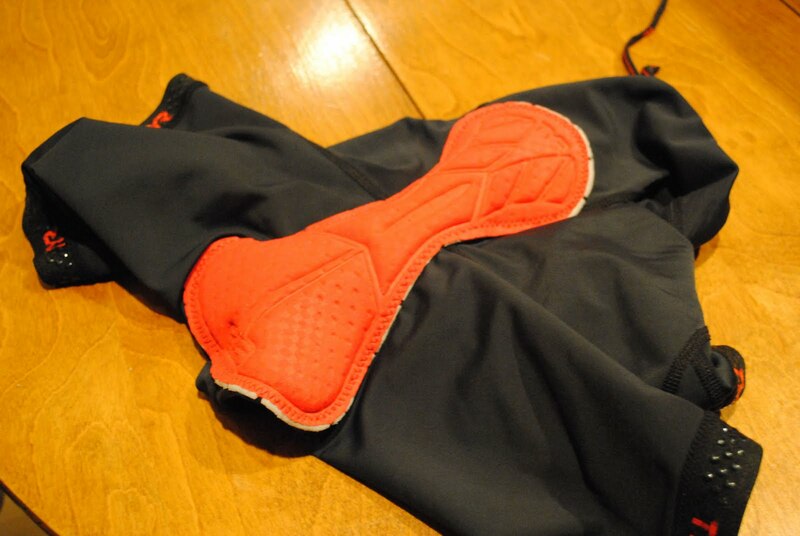 The chamois is medium in terms of thickness compared to what we offer in our tri shorts catalog. It only has only pocket, so if you’re into storing massive amounts of gels and other goodies, be sure to have yourself a hydration belt if you’re so included. This short does not use silicon as a gripper. Those who’ve owned or tried other shorts have developed a love or hate relationship would find this information important. 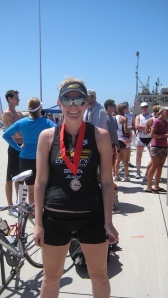 Pictured below is the Lazer Elite Suit from a photo I took at Oceanside 70.3. The short is the same bottom half of the suit. The decision to choice between the two is preferential, but factors would include the type of distance you’re doing. Shorter (Olympic and below) would favor a one piece, but longer distances points to two piece apparel items should you plan to take a bathroom break. Anyway, find out more about this short and others like it by checking out the Tri Short Comparison guide. Over and out! Do I need tri shorts? What tri shorts should I get? As a beginner you might have asked one of these questions. Here’s a list of tri short considerations and guides. Why Tri Shorts? – Most coaches that I’ve run into in the past have all said if you buy one thing triathlon specific then it should be a pair of tri shorts. I agree as it’s likely the most important thing that sticks with you throughout the race. I think it’s important to get a comfortable good quality pair of tri shorts. This doesn’t mean you have to buy the most expensive pair but I wouldn’t skimp in this area. There are plenty of good tri shorts at around $60. Material – Tri shorts are made out of all types of materials. It’s an impossible balance to make a short sturdy, comfortable, fast, fast wicking, cheap, cool, and warm when you need it. Just know that you won’t be able to find an all-in-one-tri-short-that-does-everything. The best you can do is focus on comfort an in the long run you’ll be happy. Price – I already touched on this but I don’t think it’s a good idea to skimp here. You will be in your shorts for a long period of time. 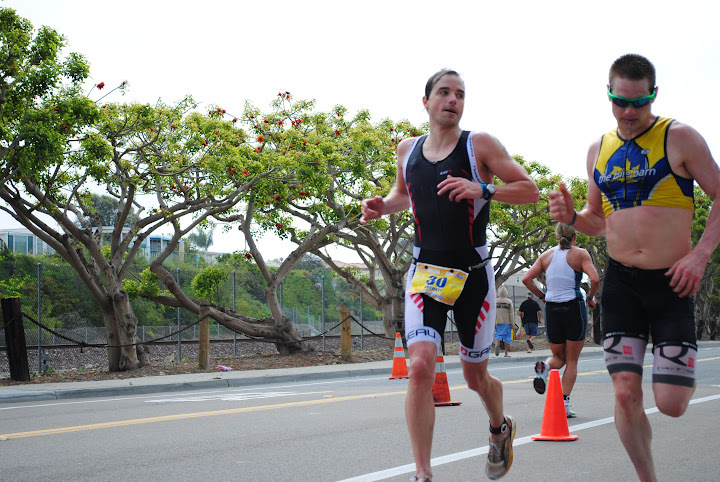 There is a lot of motion going on down there in the swim, bike, and run. A number of reputable brands have good tri shorts around $60 you can probably spend a little more to get something with a few more extras.